2019 Summer Schedule: Through June and July we will have twice a week open gym sessions HS 5pm to 7pm and MS 7pm to 8:30pm on Tuesday and Thursday. Team Camp: University of Florida Team Camp - Varsity and JV returning players plus others by special invitation; July 19 to 21. Contact Coach Frederick for more information. Weight Room: High School athletes who have taken the "learn to lift" program. Learn to lift is being offered May 13-15 after school and is a requirement for summer lifting program. Tuesday & Thursday 8-9 am. Tryouts for all teams will be July 29-31 at times to be announced and normal school time practice schedules will commence on August 1. 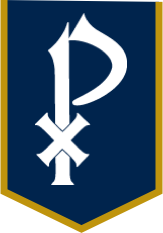 Social Media: Join the St. Pius X Volleyball Facebook group to share photos and other info about the teams. Follow us on Twitter at @spxvolleyball to get varsity results as quickly as possible this season. To get on or off the e-mail mailing list or with other questions contact Coach Frederick.